Downloadable free live themes for android which makes your android phone live and stunning are discussed here. Among top android themes app, these top 5 cool free themes for android are most interesting to me. How to make your android device home-screen stunning, alive and lifelike? The straight answer is live wallpaper application. Although live wallpaper consumes some extra battery power than the static, we may call boring, wallpaper. I am here to introduce all of my readers, the top 5 best free live wallpaper for android device which you should download. 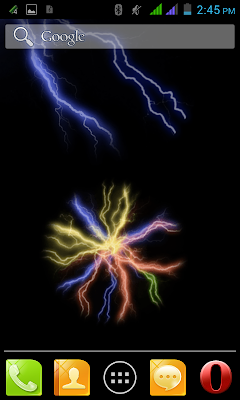 Electric Touch Live Wallpaper for android is one the best free live wallpaper. Electric Touch Wallpaper simulates or mimics the electric light when we touch the screen. For this reason, we seem to feel electric shock with its vibrating nature. Galaxy S5 live wallpaper is designed with green and stream hills as like as the real Samsung Galaxy S5 live wallpaper. There is a share button for social network communication. Galaxy S5 live wallpaper is an 3D and high definition (HD) live wallpaper that will make your android phone screen awesome and beautiful. It has a distinct feature from other live wallpaper that it will remain in sleep mode, when your android phone is inactive. Thus, it is optimized for your android device battery lifespan. It is very hard to find a person who doesn’t like the natural beauty of Waterfall. 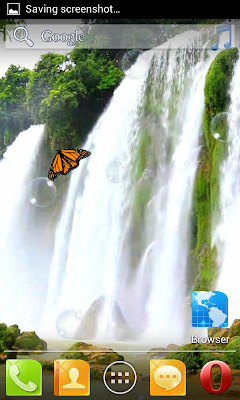 Now, we can enjoy the commercial view of waterfall by using Waterfall Free Live Wallpaper. The waterfall sound, birdsong, Bee and Butterfly will take you to the natural environment of waterfall in the forest. As a result, you will surely fill much comfortable and relaxed. You can also change the beautiful Bee, Butterfly and the speed of waterfall. So, download and install it to take a little bit relax from your boring moment. You can now artificially fulfill your hobby of aquarium with this Aquarium Free Live Wallpaper app for android. This app for android device will provide you a lot of beautiful fishes with nice and cool HD background. 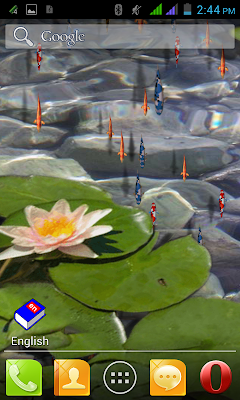 You can manually change the speed of swimming of fishes and also the number of fishes. These beautiful fishes will make you feel like real fishes. Everyone likes the beauty and smell of flowers. 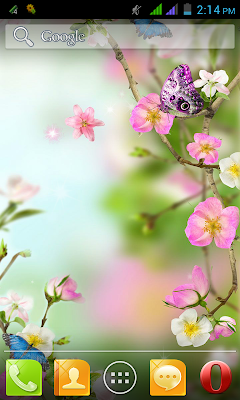 With the Flower Live Wallpaper, you will enjoy the magnificent beauty of flower, but surely not the smell. You will surely enjoy the superb view of different flowers across the sunny valleys and fields with HD background. The Flower Live Wallpaper will not consume your android device battery as like as Galaxy S5 Live wallpaper. This live wallpaper also support the home-screen switching and landscape mode. 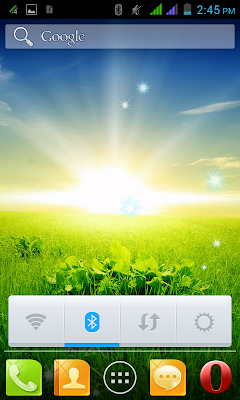 So don’t be late download this live wallpaper and make you feel the amazing beauty of flowers valley beneath the blue sky.